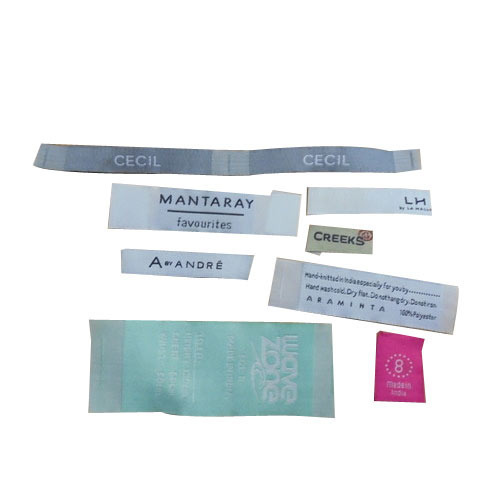 By utilizing skills of our dexterous workforce, we are manufacturing and supplying a comprehensive assortment of Woven Printed Label. All these products are provided as per the demands of the customers. Founded in the year 1998 at Noida (Uttar Pradesh, India), we “ABM Graphics” are a Sole Proprietorship organization that is engaged in manufacturing and supplying high quality assortment of Printed Boxes, Printed Hang Tags, Printed Magazines, Printed Stickers, Printed Labels, Printed Prospectus, Printed Dangler, Printed Catalog, etc. These products are widely appreciated for their features like clear prints, tear resistance, long lasting and optimum finish. We also impart Printing Services as per clients' precise needs. Under the headship of “Mr. Amit Chauhan” (Managing Director), we have achieved a significant position in this industry.